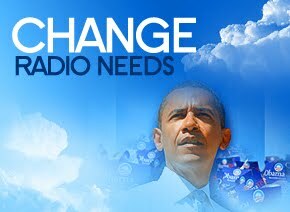 Is it possible that we can exhibit the same leadership and inspiration in the radio business that we saw on TV and heard on the radio from President Elect Obama? Is it possible for us to re-think the entire radio industry and move beyond the cuts? I believe it’s fair to suggest that the past few years have not been radio’s best. There has been much written about it so I won’t go into the past by finger pointing as to the blame. Is it possible for us to realize that for radio to succeed in attracting future generations of listeners, we must fundamentally change our whole way of thinking about the way we program, sell, engineer, market, finance, and LEAD the next generation of radio staff, advertisers, and listeners. In the next 12 months, I believe you will see a continuation of a contraction in the radio business. It WILL get smaller in staff size AND IF WE ARE NOT CAREFUL, listener size. What will radio look like … AFTER THE CUTS? How can we redeploy the limited resources available to make our medium exciting and attractive again? How do you make the cuts, yet leave the creativity and intact? Right now, in the autumn of 2008, we have the opportunity to define the NEXT GENERATION OF RADIO. If we have the leadership and understanding, vision, and the will to win, we can make our business succeed well beyond the current, outdated … hang on it’s going to get bad … mentality that is the norm today. I make a living successfully positioning radio stations and other media platforms. I advise company leaders on the right direction by reading the trends that will shape our world over the short to medium term. Radio will not be able to begin redesigning its future until it ends the cutting. The sooner it ends, the better off you will be. There can be no creative process in the atmosphere of fear. Never before has there been so much opportunity for radio than there is today. We have so much going for us, but in order for radio to succeed in the next decade we are going have to change the way we approach the advertisers, consumers, and potential creative talent that might NEVER CONSIDER RADIO. Why? Because we are not telling the great story we already have! I don’t believe radio has a perception problem … I believe radio has a reality problem in addition to the perception problem! Lest we forget, there are still a few amazing facts that would be the envy of every Internet start up or large online portal. Can you imagine a business that is already distributed to 100% of the online computers, cars, and homes throughout America? Can you imagine a national medium that already has a local sales organization in place in every city and town in this country? This is where we have the perception/reality problem. Even Google does not have the incredible local distribution and reach that we have. So why do we have a perception problem? Answer – We are NOT doing the basics well. We are defending the past rather than embracing the future. In the past few months, I have spoken to many Internet company CEO’s about the incredible cume that radio has. Not one CEO ever even thought about considering radio as a means to attract consumers. Why? No one told them! In the past two years, I have had the opportunity to speak to many creative, talented, young people who capture million of hits on everything from Face Book to You Tube about considering radio as a creative outlet. Not one ever considered radio as an option. Why? No one asked them! The reality is that we have NOT embraced the new technology fast enough to capture the next generation of listeners. The reality is we are NOT attracting young, creative people to our companies. The reality is we are NOT embracing new creative ideas in order to attract a new generation of listening. The reality is we are NOT leading the charge of radio innovation using all of the above. For those of you that disagree, perhaps you have some individual story of innovation you might point to, (“Well, at my station we bla, bla, bla …”) and I get it! But by and large we are still operating like it was 1998 except we have stopped marketing, researching, innovating, and listening to our employees, advertisers, and listeners. If we expect to stop the erosion of revenue and time spent listening, we had better start designing our companies for the future instead of the past or present. This will require vision, focus, creativity, and above all, leadership. As someone that ran a few large radio companies and stations, I understand and accept the financial reality that plagues us all right now. Advertisers are scared and not spending, costs are rising, competition is fierce and the future costs money. Radio operators have to cope with on line expenses not contemplated in 1998. CREATIVE VISION MUST BEGIN AT THE TOP. CREATIVE INNOVATION MUST BEGIN AT THE STAFF LEVEL OF THE LOCAL STATION. Local, experienced management is the key to successful radio. Top down management may work for nationwide franchises, but the dynamics of local community broadcasting are best left in the local community. It’s time to put control back at the station level where it can really succeed with advertisers and listeners. 80% or our revenue is local, and 80% of the decisions should be too. The next generation of managers will not succeed if all they know how to do is manage expenses and write reports for corporate. They must be encouraged to look for talent in every department, and department heads must make a commitment to look beyond the provincial radio world for talented people. The Internet is full of young, visionary people as is your city. Make it attractive to work at the station by offering them the creative outlet they crave beyond AM and FM. Radio is more than AM and FM broadcasting today. Invest in distribution to where the people are by using your station to promote alternative listening and participation. Strong radio brands are money in the bank if you distribute to where the people are. There simply must be more investment in Internet, and mobile platforms. Radio brands can transcend their own current distribution by putting the emphasis on content, and then push it to every viable platform. Right now, there are thousands of advertisers looking for an economical way to keep their name in front of consumers, but it’s not about selling spots, it’s about offering ideas. Ideas require creativity beyond the on air copy. Management must be open to new ideas. The notion that it worked five years ago is totally outdated thinking. No one is doing business the way it was done before. ADVERTISERS WANT TO HEAR WHAT RADIO IS DOING DIFFERENTLY TODAY THAN FIVE YEARS AGO. What are you doing different today? Listeners and advertisers are expecting their brands to change with the times. This recession, downturn, or whatever it is WILL RECOVER! When it does, radio has the ability to lead the way if we are in the right position to take advantage of it. What is our life after the cuts? Making cuts to reduce the cost of producing and presenting radio is necessary today, but putting the station in a position to succeed must also be considered. Radio can emerge as a more creative, innovative medium if it starts right now with the resources remaining. The extreme makeover of radio must start at the top, the bottom, and the middle. Now is the time to set the vision, provide the leadership, and execute the plan.